Doctors forced to deliver baby prematurely after pregnant Florida woman struck in the head by lightning. 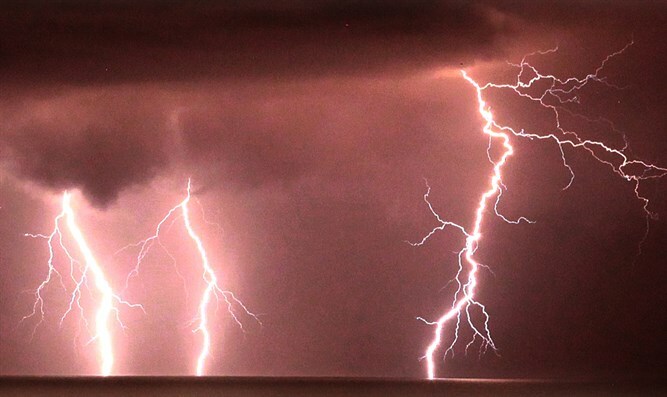 A 26-year-old Florida woman gave birth last week after having been struck by lightning a short while earlier. NBC2 reported that Meghan Davidson, seven days from her due date, had been walking with her mother on Thursday outside of her home in Fort Myers, Florida, when a lightning bolt suddenly hit her in the head. After she was rushed to a local hospital in critical condition, doctors decided to prematurely deliver her baby. She gave birth to a baby boy, and the two have since been kept at the hospital. "We are just all praying for a miracle,” they said. According to USA Today, Davidson’s condition was upgraded on Monday from critical to serious, but the hospital did not provide any information on the condition of her newborn son.